Place first six ingredients into a pan. Mix cornstarch and cold water. 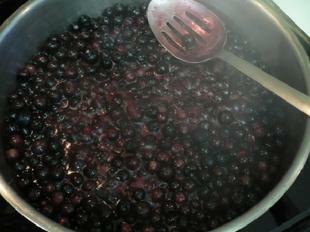 Heat blueberry mixture on the stove. 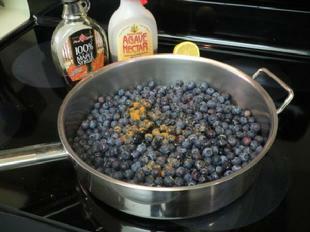 Cover pan and bring blueberries to a boil. 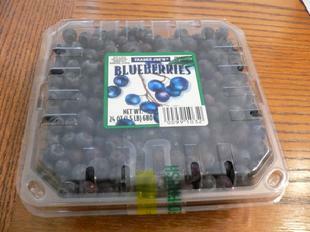 Remove cover and mix blueberries. They should cook for a couple of minutes. They will start to soften and create a fair amount of juice. Pop a couple of blueberries into your mouth. They should be soft and juicy. Drizzle cornstarch mixture into pan. 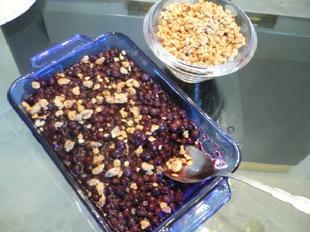 You need to be stirring the blueberries vigorously as you add the cornstarch mixture. The blueberry mixture will immediately thicken and at that point it is done. 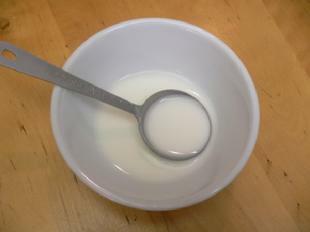 Remove from pan and place into a serving container. Let cool a bit or chill in fridge. 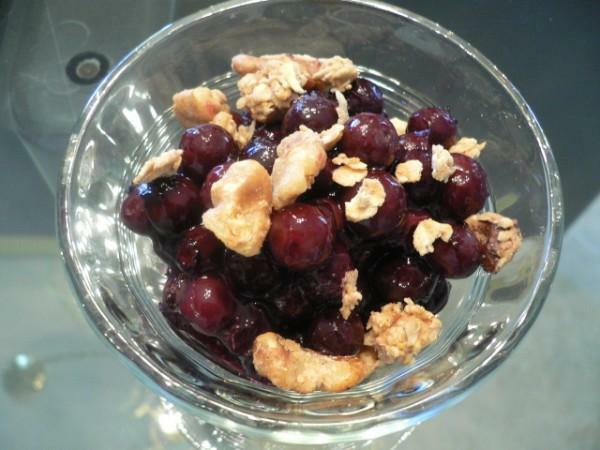 Serve with some Granola Snack on top.